Tsubaki Cam Clutch products are designed to transmit torque in one direction of rotation and overrun in the opposite direction of rotation. All Tsubaki Cam Clutch products utilize the same principle of operation. 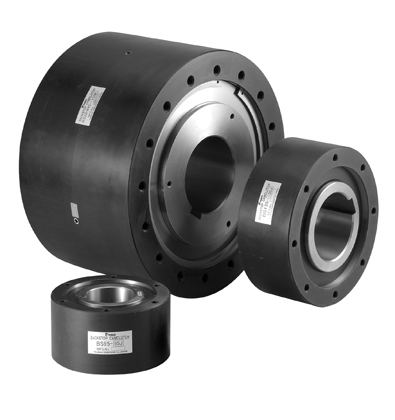 We offer various series of Cam Clutch products to address the many types of applications where they are most often used. In backstopping applications, clutches are used to prevent reverse rotation of drive shafts which may cause damage to machinery and expensive equipment. The inner race can overrun freely in one direction of rotation. Reverse rotation is instantaneously prevented by the automatic engagement of the clutch. Typical backstop applications are in conveyor systems and gear reducers. Tsubaki has pioneered the non-rollover design. In indexing applications, reciprocating motion applied to the clutch transforms into one-direction motion. A crank mechanism provides reciprocating motion to drive the cam clutch. The clutch drives in the forward stroke (index) and overruns on the return stroke, indexing the feeding roller forward. In overrunning applications, the clutches spin freely the majority of the time, occasionally being called upon to lock up and drive. Typical is a two-speed drive, where the machine is driven by either an electric motor or geared motor. When the gear motor drives at low speed, the clutch engages. When the faster electric motor drives, the clutch overruns, automatically switching between low speed and high speed.